This is an instrumental big band 433 piano/rhythm/guitar arrangement of the classic "The Steadfast Love of the Lord" scored for 2 alto saxes, 1 tenor sax, 1 baritone sax, 3 trumpets, 3 trombones, Piano, guitar, and chords for rhythm section. It has an upbeat celebration feel. This arrangement has a 60s 2beat feel reminiscent of the old Kmart Boxer Boy commercial. It is very celebrative and fun to play. There are also options for open solos. This moderately difficult. 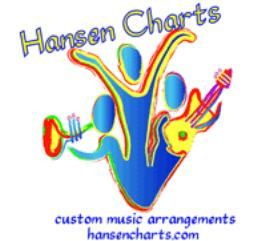 Be sure to down load the MIDI version of the chart and the sample score here on this web page. This tune does come in other smaller instrumental configurations.